We would be interested to hear from researchers who already are or are thinking of becoming independent. 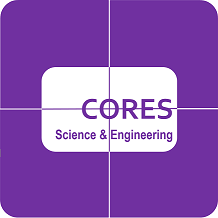 As a small research organisation, CORES currently provides a support network and an administration framework for independent researchers. It is our longer term goal to be able to provide funded research positions, but first we must grow. At this stage we are looking for highly motivated and experienced colleagues with talents in or willingness to source their own funding, excellent communication skills whilst also able to work from home, and the desire to help develop an exciting new path for academic research. In turn we can offer you the mechanism to apply for and manage certain funding opportunities, feedback on any aspect of academic output, and the opportunity to control your own direction. CORES is intended to be flexible to suit individuals as far as possible, and supports their choice of life - work balance. As such, our role and involvement may differ for every researcher so please email us if you are interested in joining or would like more information.